Morlands technical support services are valued by leading specifiers, architects, developers and local authorities across the UK. We have the expertise and resources to provide all specifiers of Morland products with technical advice and design guidance at every stage of every project. From our experience, working closely together from conception of a project is the best way to ensure that all aspects of the fit out are finished to the superior standards that our clients expect. We have compiled a selection of useful tools and information to get you started with your Morland Fit Out Products specification. Morland is a primary door manufacturer and member of the BWF Certifire Fire Door and Doorset Scheme. We have invested considerable resources in creating inovative, easy to fit fire door solutions which include door leaves, frames, architraves and glazing solutions. As a member of the BWF Certifire Fire Door and Doorset Scheme we are rigorously third party assessed and audited, providing specifiers with the added security and confidence in our products that they'll perform as expected when it most matters. Morland internal flush timber doors. 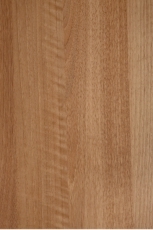 Door kits and door sets using Egger cores and finishes. Morland can service fire rated or non fire rated door leafs efficiently and accurately. As licensed modifiers under the Certifire scheme our customers are assured of traceability and materials quality. Morland molds and wraps its own door liners, architraves and stops providing choice, flexibiliy and assurance of quality control for our customers. Morland's QuickFix™ FD30 Bead is the lowest cost fire door glazing system on the market. Third party tested and certified by Certifire it's ideal for commercial and domestic applications alike. If you would like to talk to us about your specific fire door requirements please Contact Us. Morland supply fully finished internal timber doors. Our range spans: hollow core lightweight doors for the leisure and construction industry where the surface decor is suited to match the furniture and weight is a consideration; to performance solid core doors where we offer either our own Morland Egger solid core doors or use manufacturers such as Vicaima. We can supply either door leafs or complete door sets and also service and glaze doors. Complimentary mouldings for the frame, stop and architraves can be produced and ironmongery either from your own or our supply fitted as required. Morland services fire rated and none fire rated door leafs efficiently and accurately, we also supply the ironmngery such as handles and hinges where required or can work with our customers suppliers as prefered. Available either for domestic or commercial applications Morland's wardrobe doors are an elegant, highly competitive door solution ideal for pairing with our Face Frame Robe System. If you would like to talk to us about your specific non fire rated door requirements please Contact Us. The principle behind the Morland door set is to make the assembly on site as simple as possible. Because we are able to finish the frames and architraves off site they can be suited to exactly match door leafs and furniture. Paint ready or contrasting finishes can also be applied as required by the design. All door sets are supplied serviced for hinges and can be fitted with applicable ironmongery as standard. Forever Firecheck™ is the trade name of a patented invention from Morland (Pat. Pending 1600870.8). The product is the industries only firecheck door frame system with concealed intumescent seal. If you would like to talk to us about your specific requirements please Contact Us. Morland’s Face Frame Robe Systems are a built in wall-to-wall, floor-to-ceiling, modular frame system that caters for typical bedroom layouts. The systems offer attractive cost-effective storage, and runs can be used to level out uneven walls or to span projections such as chimney breasts. All parts are fully finished so all you have to do is to assemble the frame, fix to the wall and then hang the doors. The standard depth from frame to wall is 600mm, but being a frame this can be changed. As a bespoke manufacturer we can produce these products to your finish if your project requires over 500m2. 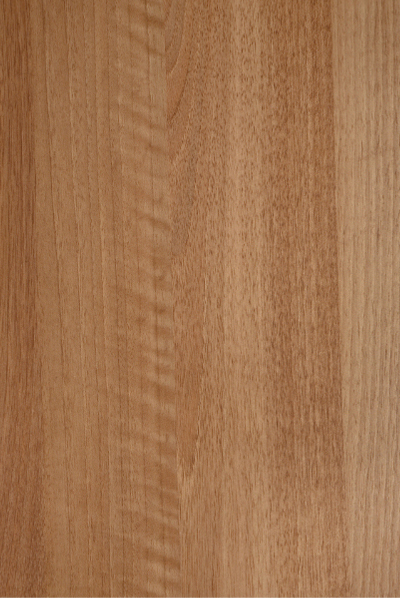 Our online shop stocks our top selling finishes which are available for next day delivery. Larger order quantities and alternative finishes are made to order with a minimum order quantity of 500 linear metres. Forever Firecheck® eradicates the need for plastic encapsulated intumescent strips entirely. Samples of this product can be ordered in our online shop HERE. Morlands Modular and Portable Buildings product range allows you to source doors, panels and profiles direct from the manufacturer. To get you started we also outline our range of products designed to serve the temporary building market below. 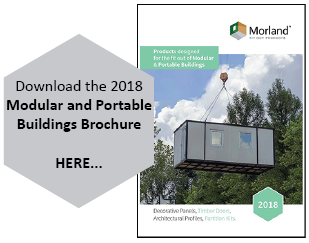 For full details please download the Modular and Portable Buildings Brochure. Used in diverse industries including construction, leisure and furniture manufacture, our Wall Board offer covers a broad range of applications right from 3mm decorative plywood panels through to Euroclass B fire retardant panels. If it's decorative wall boards you need, it's very likely Morland has an offering to match your requirements. From 2440x1220x12.5mm standard board to high performance boards in irregular sizes Morland has a solution. From a low cost vinyl to digitally printed contract grade wallcoverings Morland can cover it all. We have all of the designs and expertise of our wallcovering business Newmor to help make your interior right for your needs. Connecting cover strips to hide the joints can also be supplied wrapped in a co-ordinated finish to give the interior a professional look. Lightweight 3mm vinyl or laminate faced boards, with ranges available either custom made or from stock. These are perfect for cladding walls and ceilings either in leisure vehicles, boats or cabins, or in construction for dry lining, shop fitting and off-site volumetric building, as they eliminate the need for on site wet-trades. A robust and customisable solution for Euroclass B Fire Retardant panelling developed in partnership with Formica and Medite. Morland paint ready wrapped tongue & groove is a high performing alternative to primed MDF T&G panels, requireing 50% less paint for a superior finish whilst also providing a moisture barrier to reduce condensation. Morland offer a coordinated Tongue & Groove Panelling system designed to allow you to go up stairs and round corners with no difficult details. 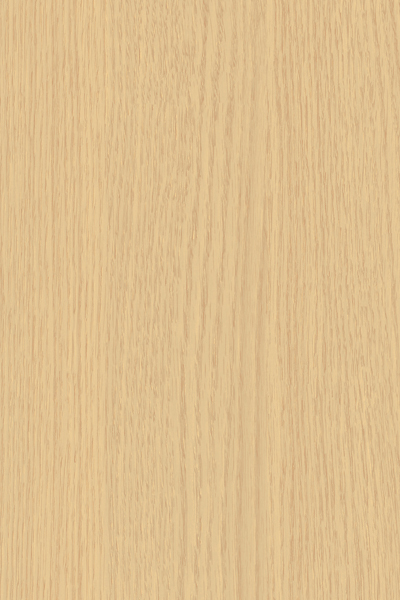 From thin decorative wall boards to products suitable for furniture components, Morland have decades of experience in producing high quality, cost effective panelling for volume applications. If you are specifying we'll even help you to get your perfect materials recipe to suit your application. Lightweight furniture ply that looks good, cuts and machines cleanly without break out, is impact resistant and doesn't add excess weight to your fit-out. This is available in a large range of laminate finishes both stocked for rapid order turnaround and non stocked custom manufactured (minimum orders apply). 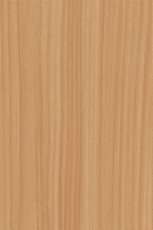 Laminated MDF furniture panels with Abet, Arpa, Egger, Formica, Polyrey and our own Morland laminate finishes available. We offer massive decor choice whilst our five decades of experience and modern high speed production lines guarantee you value for money and a product that's quality assured under ISO:9001. 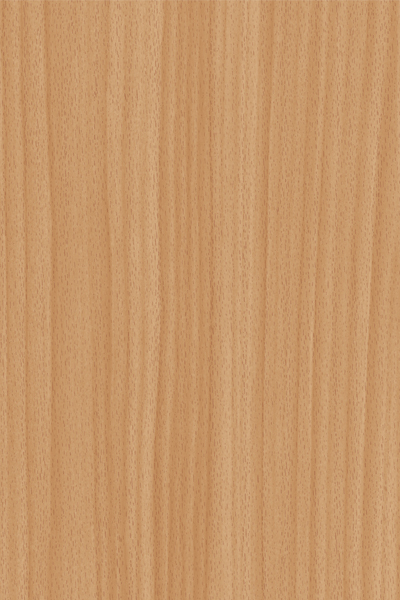 Laminated birch ply panels that have a huge range of laminate finishes available bonded to BB/BB face Grade FSC® certified Birch Plywood, giving a panel that is strong and robust with excellent screw retention properties. Edges can be left visible and waxed lacquered or painted and we supply in lengths of up to 3 metres and up to 30mm thick. This product is ideal for furniture and vehicle fit outs where weight is not a concern. Morland offers a broad range of decorative finishes on a variety of substrates for wrapped mouldings. We are one of the few manufacturers in the country with the technology and knowledge available to wrap profiles in tough laminate finishes (TLF) at volume, to deliver larger construction projects a sophisticated solution to achieving cost effective co-ordinated fit-outs. The finish can be applied to MDF profiles as a substitute for painted surfaces, is extremely hard wearing and is ideal for high traffic, severe duty applications such as finishing timbers like door frames, architraves and skirting. 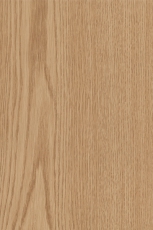 For further information on our tough laminate finish profiles please click the link below, or if you'd like to talk to us about your specific project requirements please Contact Us. Morland specialises in volume bespoke supply, providing customers with the ability to specify substrate, decoration and profile for fabrication in our production facilities. We produce fully finished products with designs optimised for ease of fit and cost effectiveness using tools that are purpose made to suit wrapped profiles. We wrap MDF, PVC extrusions, aluminium, hardwoods, softwoods and polycarbonate; this allows us to optimise for the application taking into account strength, weight & heat resistance. We can use the same decor across a range of substrates allowing finishes to remain consistent throughout a fit-out. Shown above is a small selection of the printed finishes, however there are thousands of choices available. More details on the types of wrapped profiles available can be found in the below link. Please Contact Us for advice on colour, structure, molding or substrate and we'll be happy to assist. 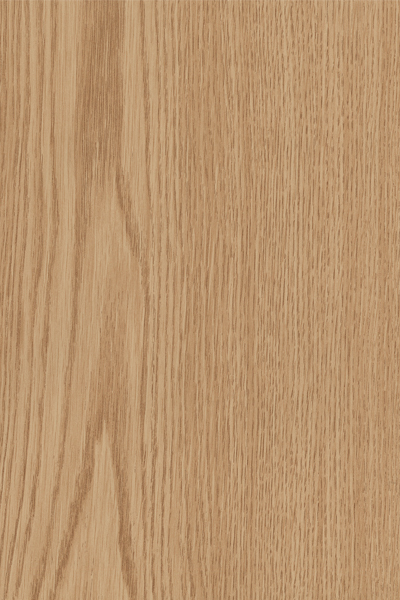 By using the highest grades of veneer, combined with our demanding quality control and production regimes, Morland achieves wrapped moulding finishes indistinguishable from solid hardwood sections. We even avoid cracks on the arises and any finger jointing is invisible. 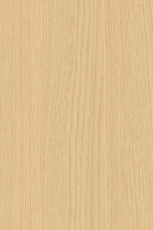 For more information on Morland's veneer wrapped profiles offer, please follow the link below. Alternatively if you would like to talk to a representative please Contact Us. 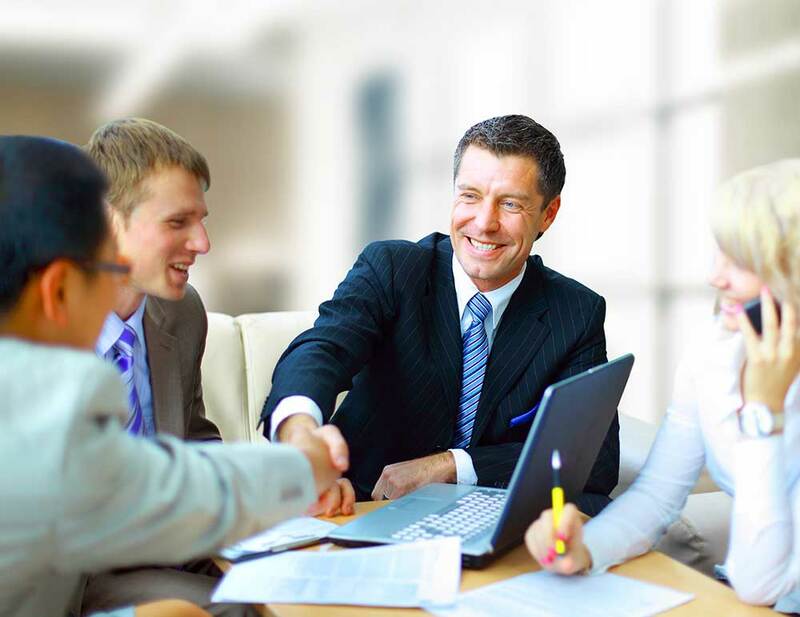 Morland's reputation has been built on high levels of technical knowledge and support provided to clients before, during and after every contract. We strive to work closely with our clients from the beginning of a project right through to completion and throughout the lifespan of the product. In our experience, this is the best way to ensure that all aspects of a contract are finished to the high standards our clients expect. Importantly, we understand that our clients are often juggling multiple responsibilities during construction or refurbishment projects. We provide a technical support system and true just in time scheduling and fulfilment that aims to take as much responsibility from our clients as possible, ensuring their focus can remain where it's needed most. If you would like us to assist you with your project please fill in the form on the right, use our chat system to connect with one of our technical team, or call us on +44 (0)1938 551 980. Downloadable resources to assist with specification and architectural design. We offer a free bespoke specification service for our clients. We will review requirements of a project and drawings supplied then offer detailed guidance on material recipes required including complying with current materials regulation. If you would like our assistance with specifying the correct products please complete the form below, use our chat system to connect with our Technical Team or call us on +44 (0)1938 551 980.